This course was developed to teach techniques to escape the most dangerous positions our officers find themselves in during an attack. 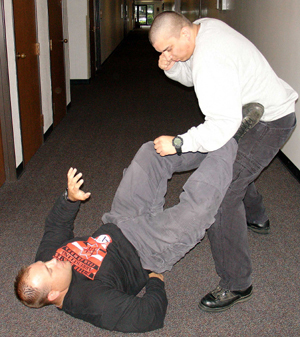 These techniques are specific to escapes when officer’s find themselves immobilized whether it be on the ground, against a wall, or in a corner. Statistics tell us that it is when officers are immobilized that is when injuries are sustained and weapons are taken away. These techniques are also designed to be used in small areas such as hallways, cells and the majority of places that are in jails and prisons, as well as houses, apartments and trailers. To provide the awareness, knowledge and skills necessary to survive an attack in the most dangerous places. Confined spaces are spaces that limit mobility and this is where officers are often seriously injured. 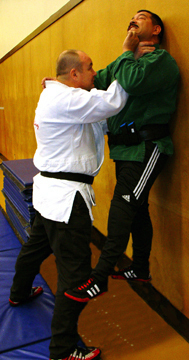 The techniques will be taught from attacks that force officers into walls, corners or on the ground. This course will also provide information on reporting writing after an assault where the officer has to use self defense techniques, as well as knowledge on the attack and survival triangles. Open to all officers, and instructors that teach LE defense techniques. 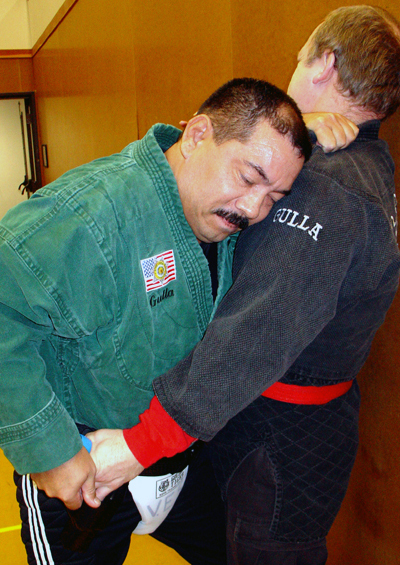 Student will be able to understand the legal justifications for self Defense and the reasonableness and necessity of using CSS techniques if they are placed in a self defense situation. Students will be able to successfully identify Pre Attack Indicators and Pre Attack Postures. And be able to explain the importance of being able to identify these attack indicators on how it relates to officer safety and report writing.